We offer a Plasma Spraying service using Sulzer Metco equipment comprising of a number of Sulzer Metco units including a 3MB unit feeding a MBN gun and a 7MB unit feeding a 9MB gun. A wide range of coatings can be applied including ceramics, zirconium, yttrium, chrome carbides & tungsten carbide and used in a wide range of applications including seal diameters, machines spindles & print rollers. The plasma coating process is basically a high frequency arc, which is ignited between an anode and a tungsten cathode. The gas flowing through between the electrodes (i.e., He, H2, N2 or mixtures) is ionised such that a plasma plume several centimetres in length develops. The temperature within the plume can reach as high as 16,000° K.
The sprayed material (in powder form) is injected into the plasma plume where it is melted and propelled at high speed to the substrate surface where it rapidly cools and forms the coating. 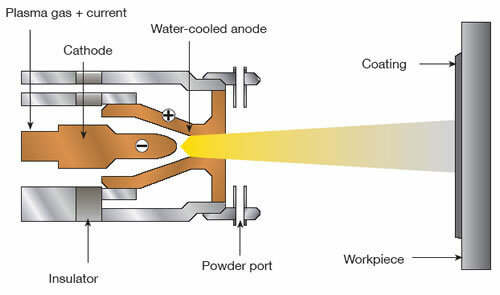 coating is therefore based on mechanical “hooking”. The plasma spraying process is classed as a cold process and because of this damage and distortion etc. can be avoided to the huge range of substrates we can coat. Chromium oxide is the most chemically inert and wear resistant of all the oxides, and can be used at service temperatures below 540 °C (1000 °F). Applications such as laser engraved printing rolls, pump seals and textile manufacturing components are typical. Additions of titanium oxide and silicon dioxide result in improved cohesive strength, better toughness and abrasive wear resistance. These coatings exhibit higher thermal conductivity than zirconia based ceramics but higher micro and macro hardness and wear resistance. Alumina is a wear resistant metal oxide ceramic that is chemically inert and stable at high temperatures. Key functions are for abrasion, sliding and erosive wear in applications where impact is not an issue. 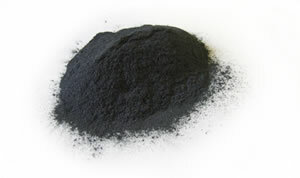 This material has been used in many applications. Medium to coarse grades can be used as a cutting medium such as knife edge seals in turbine applications. High purity grades (white alumina) exhibit excellent dielectric characteristics. Blends with small to moderate amounts of titanium oxide increase overall coating toughness. Titanium oxide and its alloys produce coatings that are generally tougher, but with lower hardness, than coatings of alumina. Applications for titanium oxide based coatings are, sliding wear resistance and where lubricity is needed. Titanium oxide coatings should not be used at services temperatures that exceed 540 °C to avoid potential cracking as a result of phase transformation. Higher concentrations of chromium oxide or alumina will increase the wear resistance of titanium oxide. Air plasma spray produces higher quality, denser coatings that can be ground to smoother finishes than those produced using combustion powder spray. Zirconia based ceramics are used in heat insulation applications as thermal barriers to improve efficiency and service life of components in high temperature service. These materials are generally plasma sprayed over an appropriate bond coat. Stabilisers such as magnesia, ceria, calcia and yttria are alloyed with the zirconia to help minimise phase transformation that can cause volume changes within the coating, which can in turn lead to coating cracking during service. Key applications are graphite trays used for sintering of carbide, gas turbine hot section components, diesel engine piston crowns and seats. read more. Tungsten Carbide materials are generally recommended for wear applications with service temperatures of less than 500 °C, as higher temperatures will result in the formation of brittle phases that reduce wear resistance and coating integrity. Typical wear applications include erosion, abrasion, fretting, sliding wear and impact resistance. Matrices of higher cobalt levels improve coating toughness. The addition of chromium improves atmospheric corrosion. Powder selection and spray process is important for applications with specific surface finish requirements, such as smooth as-sprayed surfaces, fine ground and finished surfaces. Chrome Carbide materials are more typically used for higher temperature applications than materials of the tungsten carbide family. The recommended service temperature range that is generally from 540 to 815 °C. Many chrome carbide materials contain secondary constituents, typically of nickel and chromium, to prevent chromium carbide decomposition during spraying (carbon loss) and also to serve as a matrix that improves overall coating integrity, corrosion resistance and wear resistance. Coatings of these materials can effectively combat solid particle erosion, high temperature wear (abrasion, erosion, fretting and cavitation) and hot corrosion. The large class of nickel based materials is used in many different applications. Key functions include bond coats for ceramic materials, self-bonding one-steps for salvage and repair applications, repair and restoration of super-alloy substrates using a coating material of similar chemistry and alloys for general corrosion and sliding wear. Key additives to nickel alloys for oxidation/hot corrosion applications are chromium, aluminium and yttrium, which affect the oxidation rate and, more importantly, the type of oxide scale and adherence. Self-bonding composites rely on aluminium to create an exothermic reaction during spraying that results in micro-welding at the surface that improves bond strength and thickness limits. Aluminium alloys are used for repair of worn aluminium and magnesium substrates. They are also used for low temperature clearance control applications and machining purposes. Aluminium Silicon alloys should not be exposed to temperatures approaching 315 �C or greater, as they are prone to over ageing characterised by a reduction in hardness and the precipitation of secondary silicon based phases in the alloy. Ferrous based coatings can benefit from the additions of boron and carbon to increase the hardness and wear resistance. While additions of chromium and nickel increase the temperature capability. Alloys containing high molybdenum levels improve the sliding wear capability and the chemical corrosion resistance of 300 series stainless steels. Alloys of FeNi have improved machining ability over pure nickel alloys. Application and processing temperatures may affect hardness and wear resistance of these coatings. These alloys contain boron and silicon as temperature suppressants that allow these materials to be fused (re-melted) in normal atmospheres after the coating is applied. The fusing procedure coalesces the coating into an essentially pore-free, fully dense surface that is metallurgically bonded to the substrate. 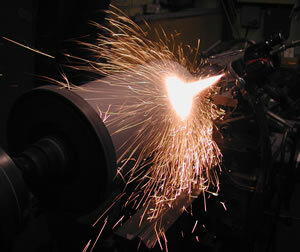 Coatings are typically fused by Oxy-acetylene torches. Cobalt based self-fluxing alloys exhibit very high hot hardness having greater impact resistance and better ductility than nickel-based alloys. They are also less prone to cracking during post-fusing cooling.